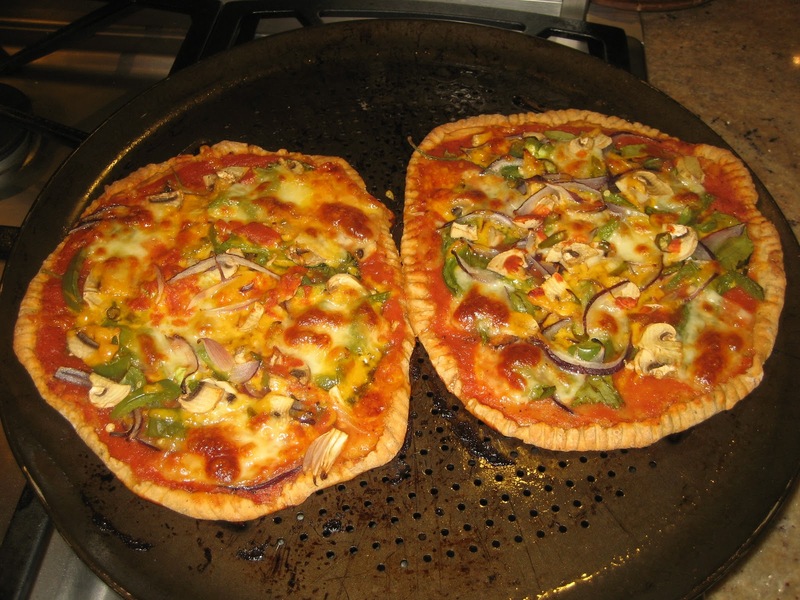 Homemade, Gourmet whole wheat Pizzas – get some! This weekend, the whole family was craving true Italian style pizza. It was a long weekend and it seemed a good idea to make this a family project. 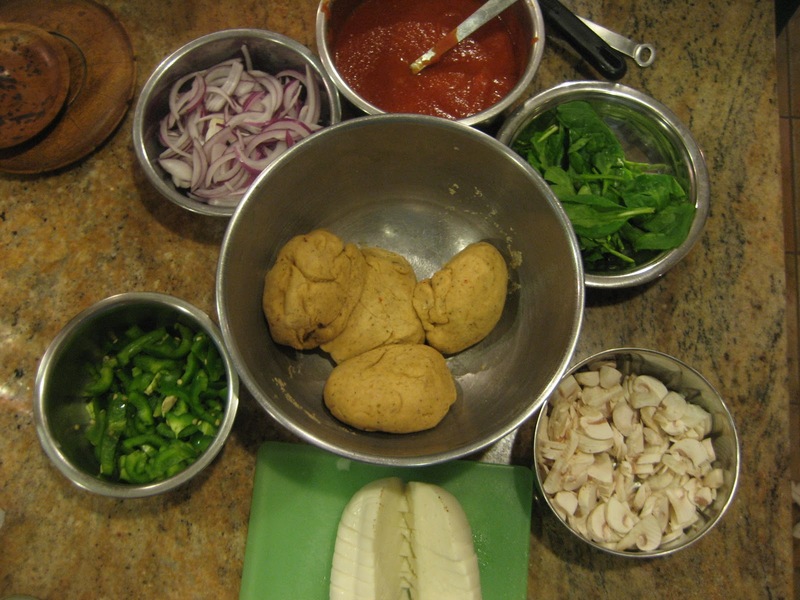 I knew I wanted to make it with whole wheat, so I decided to use our very own Chakki whole wheat atta flour. Also, almost always, I waste most of the crust, either because it can be too thick and/or quite doughy and tasteless!!! 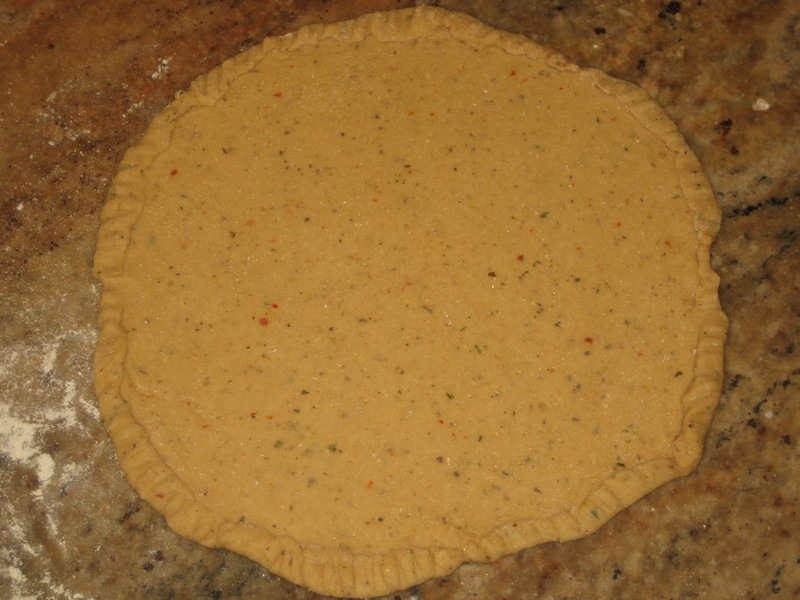 So I decided to make the crust an Italian masala crust. By which i mean I used a bunch of Italian spices to make the crust a stand-alone dish – much like our masala parathas. The crux of the matter is a tasty crust, besides a good sauce, of course! 3 cups of Chakki atta in which I added dry ground 1 teaspoonful each of black pepper; basil; oregano; rosemary; garlic; 3 red cayenne dry peppers; I also used a spoon full of pesto and wild garlic powders. In a food processor, add the flour, the ground spices, 1-1/2 pouches of yeast, and three teaspoons of olive oil. Dry spin ingredients around for a minute to evenly mix the spices and yeast into the flour. Then add (about 2 cups of water) – I just poured as I kneaded (pun intended) Remove from the processor, and put it on a clean counter and knead some more! 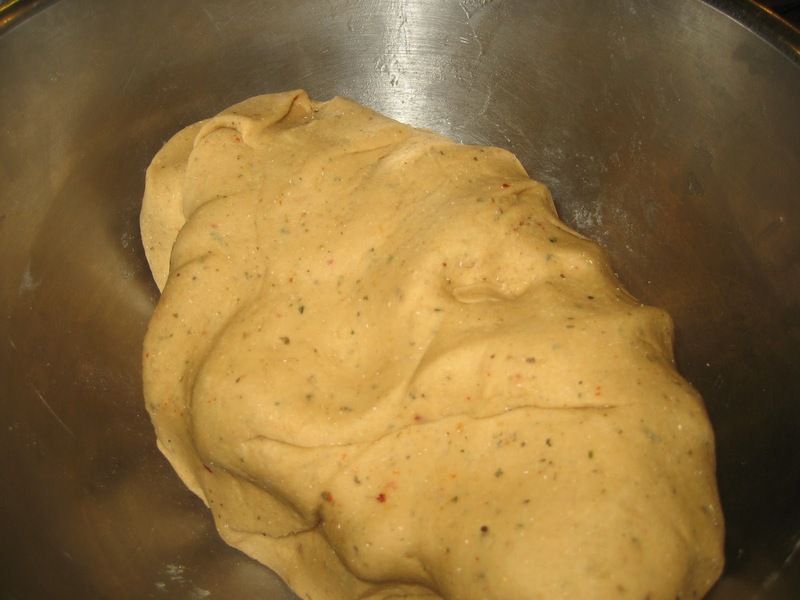 Put it in a bowl and keep closed for 10 minutes, allowing the dough to rise. 2 cans of Hunt’s diced tomatoes ground. white sauce pizza for Samyuktha! That's one, i mean a couple of amazing pizza/s.